1. HIGH QUALITY MATERIAL:This stem extension mount is made of qualified aluminum alloy, solid, firm and durable to use. 2. EASY TO CARRY: Compact, lightweight and multifunction with stylish design, easy to carry and use, can easily installed on bike handlebar stem. 3. USER-FRIENDLY DESIGN: Direct wide slot user-friendly design, suitable for different specifications of the installation. 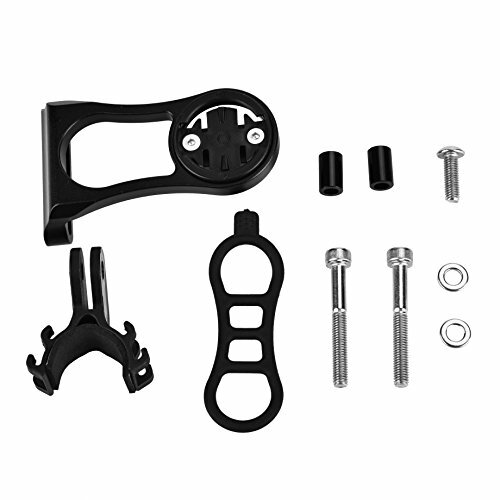 HIGH QUALITY MATERIAL:This stem extension mount is made of qualified aluminum alloy, solid, firm and durable to use. USER-FRIENDLY DESIGN: Direct wide slot user-friendly design, suitable for different specifications of the installation.